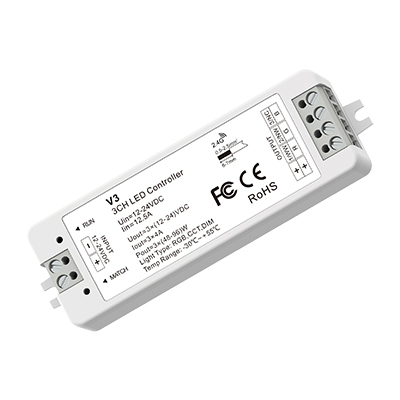 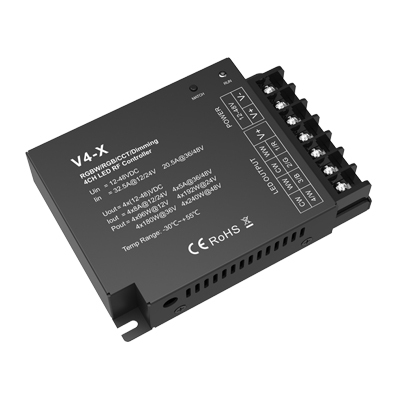 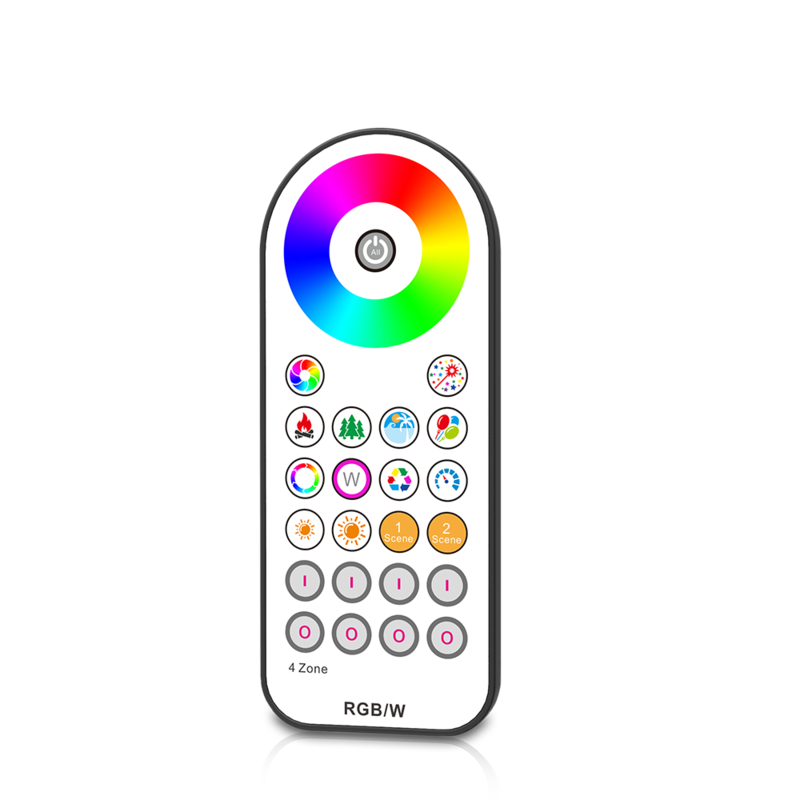 All 3 channel controllers can be used as RGB, CCT, or DIM controllers. 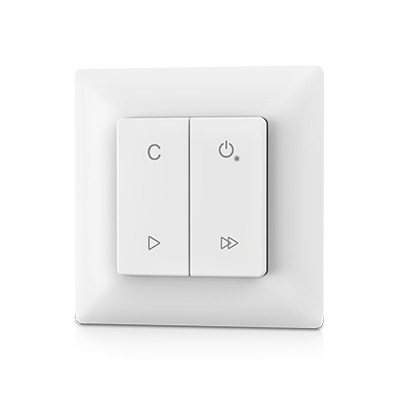 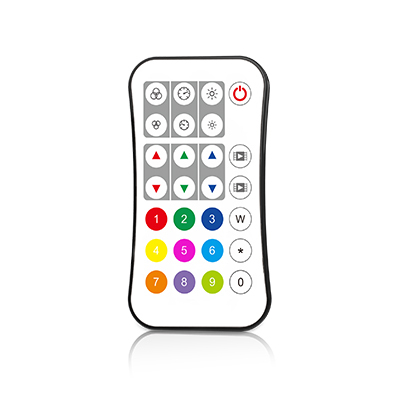 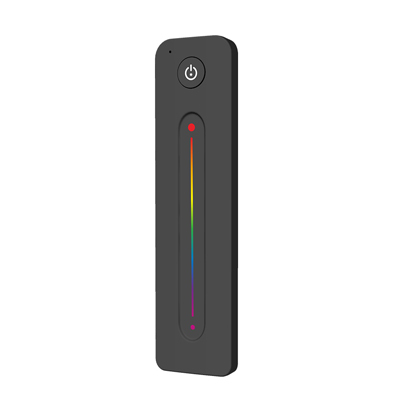 Using 2.4GHz wireless technology, it can accept up to 10 remote controls. 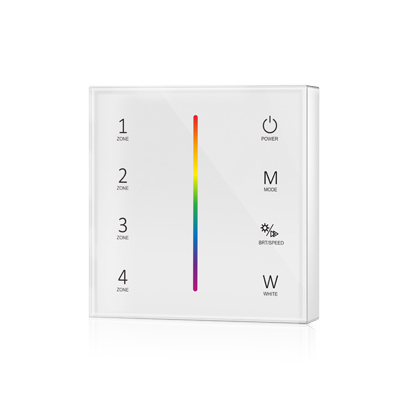 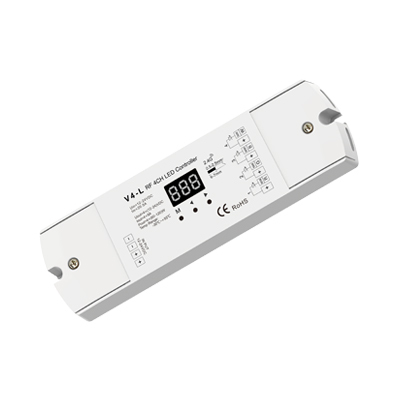 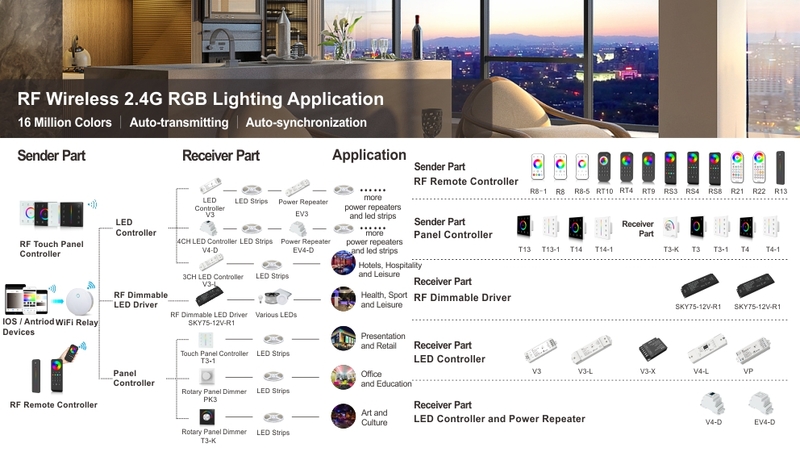 RGB Series includes 3 channel controllers,RF remotes,panel controllers/remotes, WiFi Series items and power repeaters. 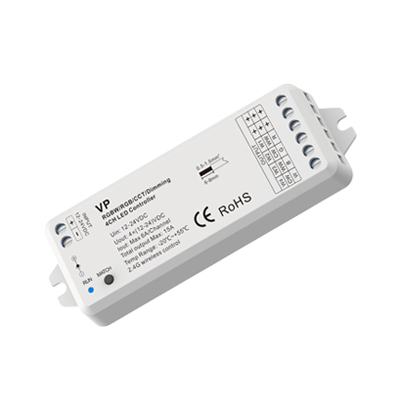 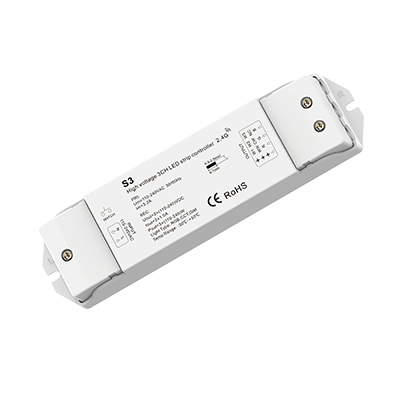 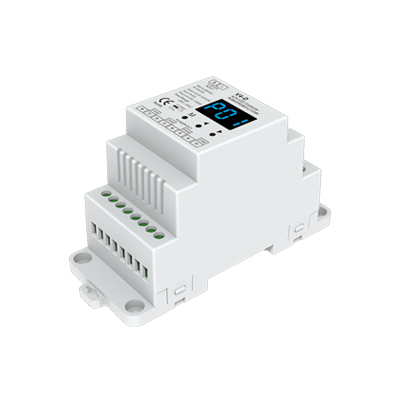 One receiver automatically transmits the signal to another receiver within a 100m distance.